All recipes have a uniform style, which simplifies the understanding of the method of cooking. 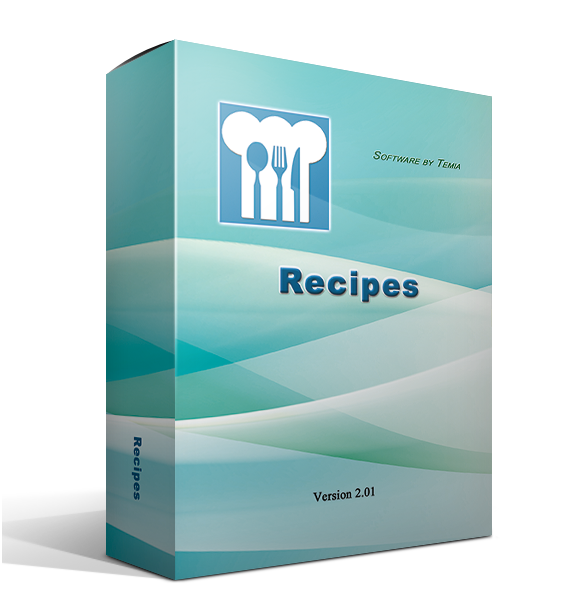 Each recipe has a description, list of ingredients, difficulty level, category food, cooking method, cooking time and calories. Also an author of dishes, as well as comments from the author and rating of dishes. The most important part of the program is the obligatory presence of photos of a finished dish, as well as its cooking steps. Each step of cooking has a number of steps, photo, used in this step ingredients and description. 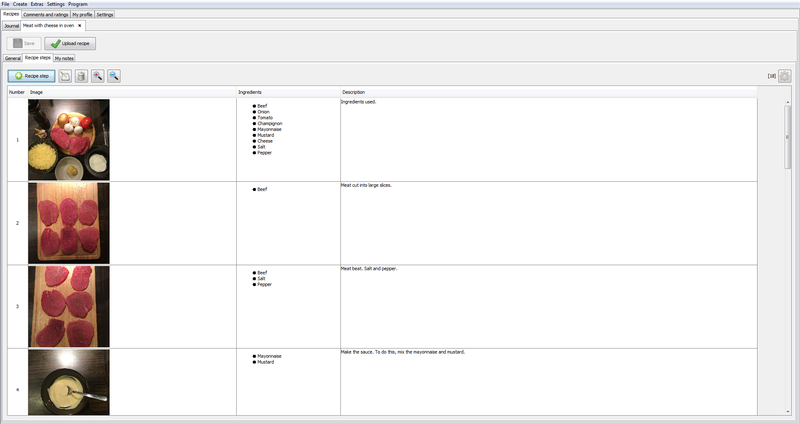 For your convenience, the size of a displayed recipe steps can be set by a user. 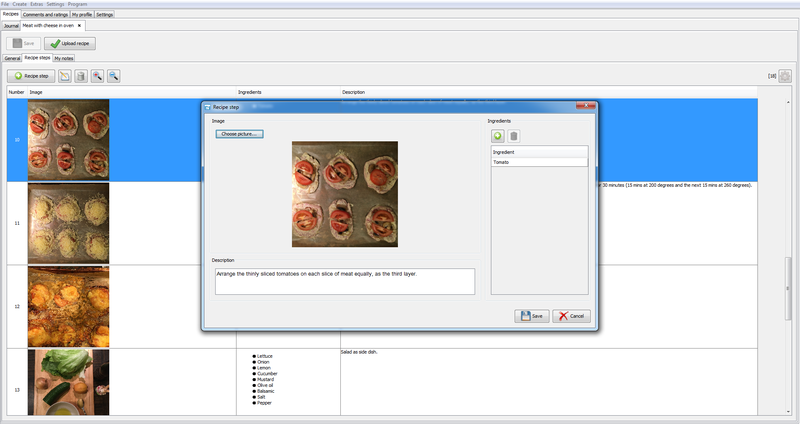 Thus, all the steps of a recipe can be displayed on a screen at once. Also, each recipe can be opened in a separate window. 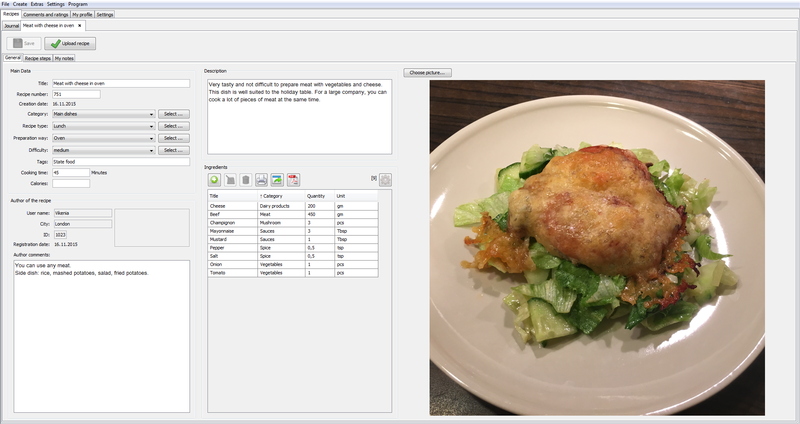 It is possible in the program to search recipes on the set parameters (category food, cooking method, cooking time, number of calories, title, chosen product). An important feature is the ability to search recipes by the products You have! 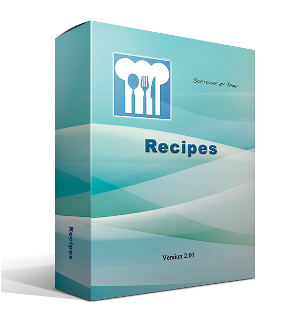 Each recipe, with a step by step description of cooking can be opened as PDF file, as well as printed. Write your own recipes. 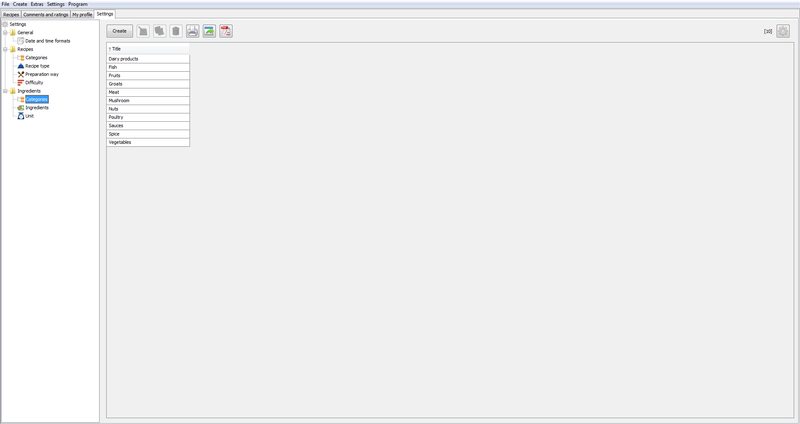 To do this, You need to write Your recipe in the program, and then upload it into database of the program. 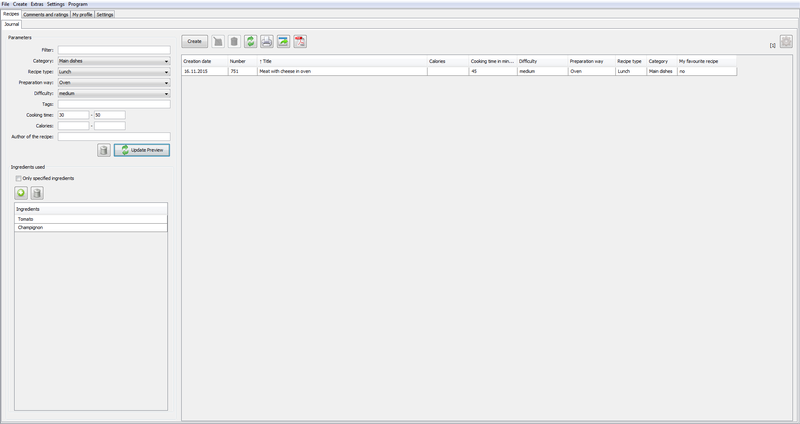 Thus, Your recipe will appear in a category of new recipes and will be visible to every user of the program. You will be specified as the author of the recipe. The information about You that You have indicated in the first step, by checking Your profile, will be also visible.